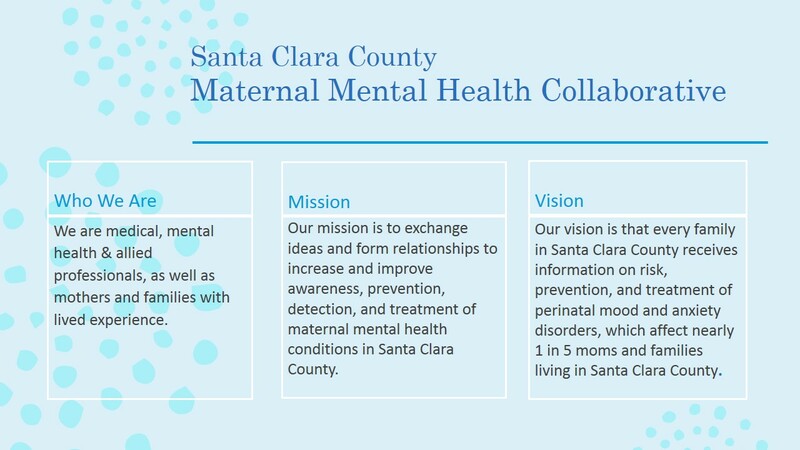 The Maternal Mental Health Collaborative for Santa Clara County was founded and runs jointly by Supporting Mamas and Santa Clara County Department for Public Health. Meetings are held quarterly in San Jose with providers from agencies and organizations across the county who work in maternal mental health. It’s a great opportunity to network with other MMH providers and stay up-to-date on local news and events. Join the Santa Clara County Maternal Mental Health Collaborative by emailing Allyson at allyson@supportingmamas.org.